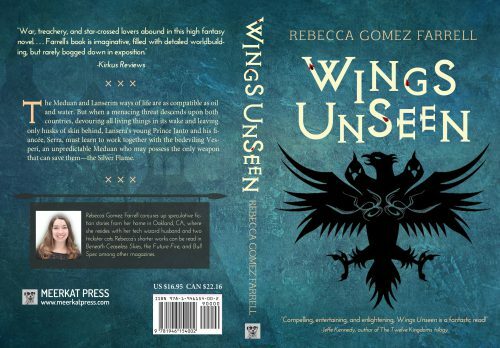 My first full-length novel, Wings Unseen, was published on 8/22/2017 by Meerkat Press! To end a civil war, Lansera’s King Turyn relinquished a quarter of his kingdom to create Medua, exiling all who would honor greed over valor to this new realm on the other side of the mountains. The Meduans and Lanserim have maintained an uneasy truce for two generations, but their ways of life are as compatible as oil and water. When Vesperi, a Meduan noblewoman, kills a Lanserim spy with a lick of her silver flame, she hopes the powerful display will convince her father to name her as his heir. She doesn’t know the act will draw the eye of the tyrannical Guj, Medua’s leader, or that the spy was the brother of Serrafina Gavenstone, the fiancée of Turyn’s grandson, Prince Janto. As Janto sets out for an annual competition on the mysterious island of Braven, Serra accepts an invitation to study with the religious Brotherhood, hoping for somewhere to grieve her brother’s murder in peace. What she finds instead is a horror that threatens both countries, devouring all living things and leaving husks of skin in its wake. To defeat it, Janto and Serra must learn to work together with the only person who possesses the magic that can: the beautiful Vesperi, whom no one knows murdered Serra’s brother. An ultimate rejection plunges Vesperi forward toward their shared destiny, with the powerful Guj on her heels and the menacing beating of unseen wings all about. Wings Unseen is available to order from your local bookstore or library, through Amazon in print or e-book forms, or from Barnes and Noble. Or you can order it directly from me for $15! That includes author signature and shipping. Just shoot me an email at becca@thegourmez.com or contact me through social media. Wings Unseen is an enthralling female-driven fantasy debut. The world, magic system, and terrific characters – with two complex, multi-layered heroines along with the male protagonist – drew me in and kept me rapt. The romantic set-up goes sideways in a delightful way, satisfying me entirely. The characters truly grow and change over the course of their epic quest, including a heroine who begins in a dark place and rises above it. An initially unlikable heroine, Vesperi is deftly handled and won a place as my favorite character. Compelling, entertaining, and enlightening, Wings Unseen is a fantastic read! For all my publishing updates on Wings Unseen, click here, including a round-up of my reading and book tour appearances to support the book. 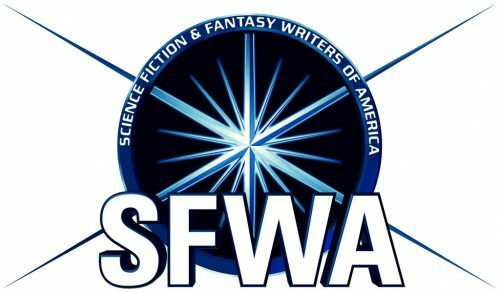 You can also get a great list of all the accolades Wings Unseen has received over at its Meerkat Press page.